happy to be able to show the gift I made my son’s speech therapist. It turned out different than I expected, but also better 🙂 So here we go! 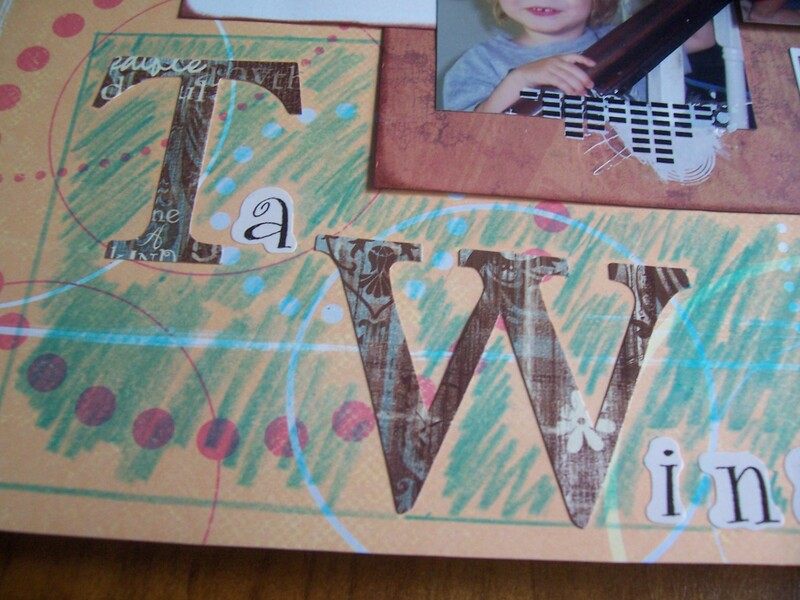 I had strips left over from another project, which I stacked and used Rubber Stampede brown dye ink on the edges. 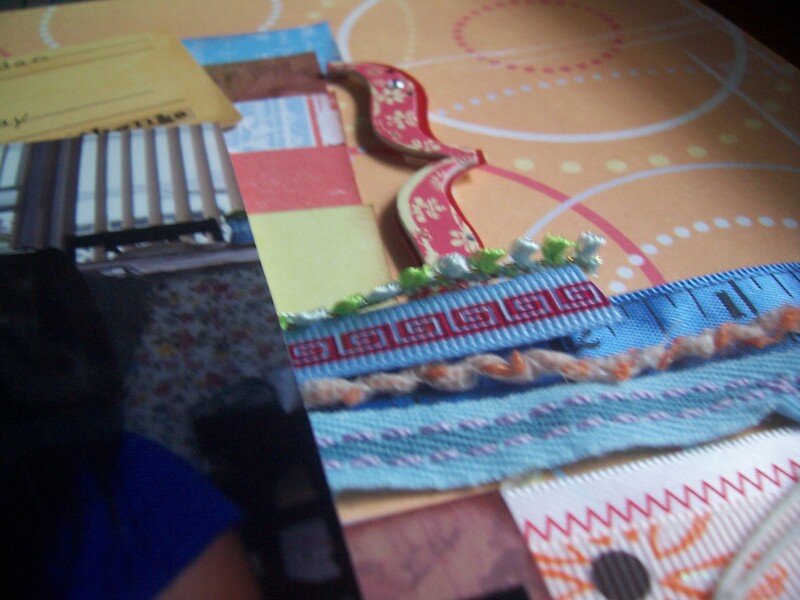 Lots of ribbons and fibers (the red border is actually a Hambly sticker border on a blue ribbon) and a chipboard bracket. I found this collection called White Out. The background paper as well as this piece here come from that collection. 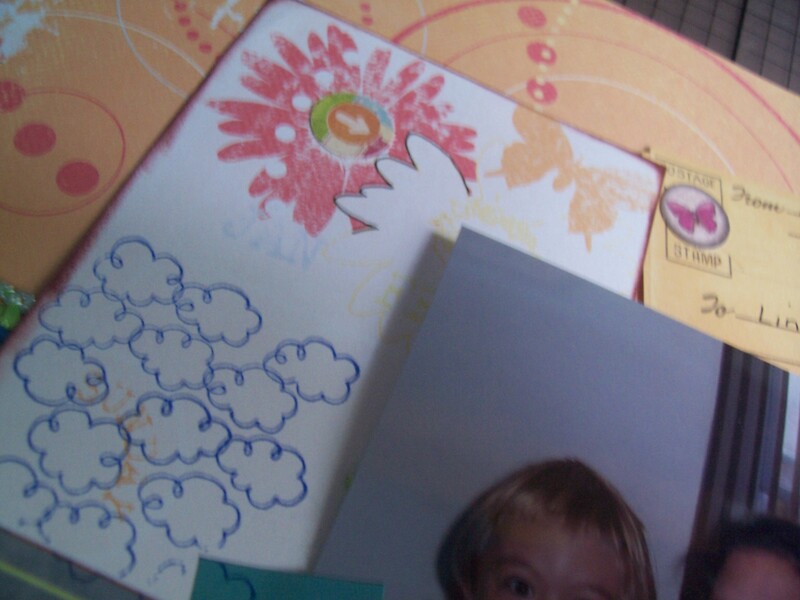 I put a tiny die-cut circle, outlined part of the flower and used a cloud stamp. 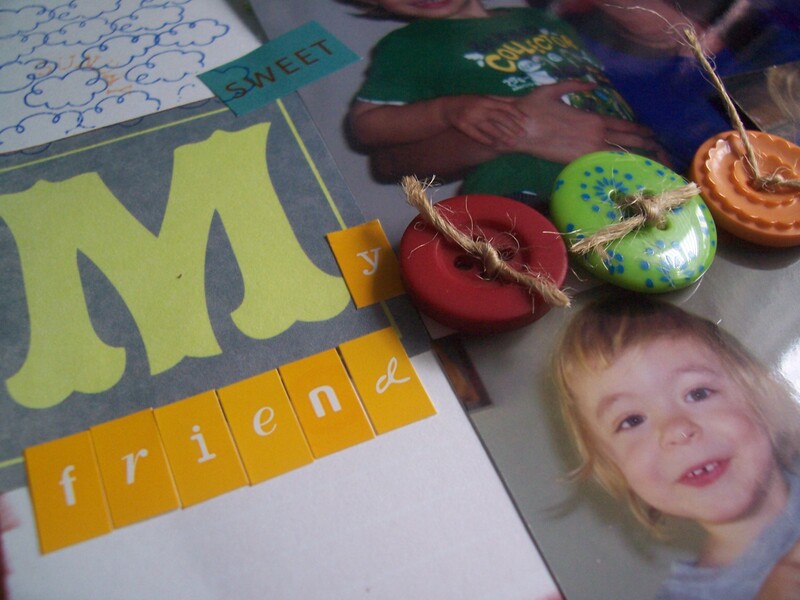 Button with brown twine, letter stickers, and an M I cut from a sheet of the Garage Sale line from Recollections. And here it is in its full glory! As you can probably imagine, there’s a lot of different stuff in here. I’ll give a supply list that I’ll update later. Thanks for looking and feel free to comment! Also, don’t forget, Memory Works is clearing out all the old stuff, so the clearance items are even cheaper! Plus, new lines are coming out practically evey day, so snap them up! You may still be able to purchase the August Memowry Works Express kit Camp Out, and September’s is called School Day and looks really cool! really happy to be able to share this with you. So my husband’s grandmother celebrated her 100th birthday last year. 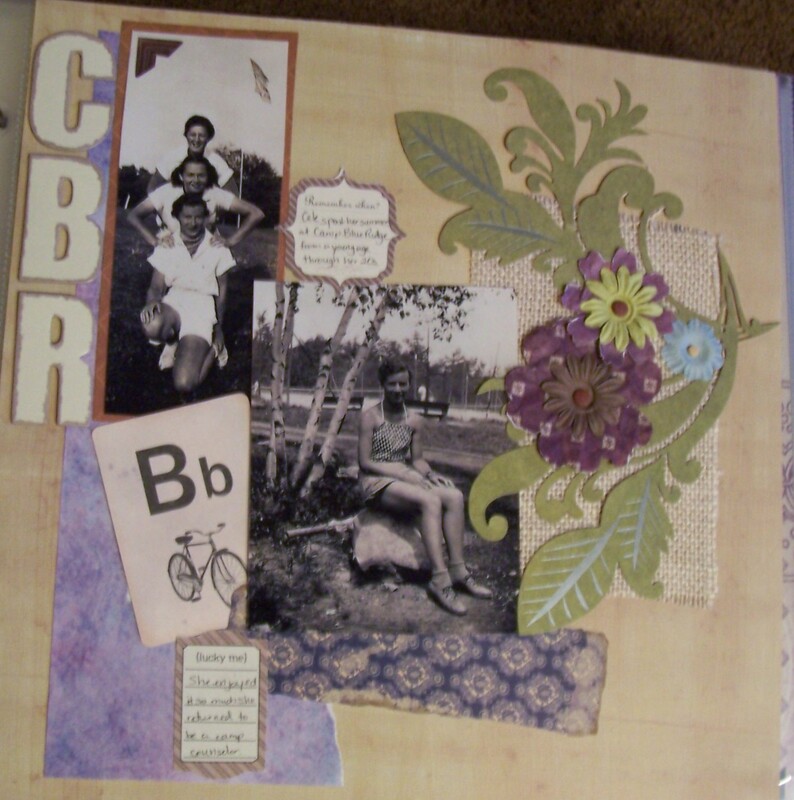 Among her gifts, my mother-in-law (her daughter) suggested doing a scrapbook album of her life thus far. I thought, wow! That’s an awesome idea. So we gathered up TONS of pictures, scanned them (we had pictures from the late 1800s!) and I made her an album. Here’s a small taste for you…! 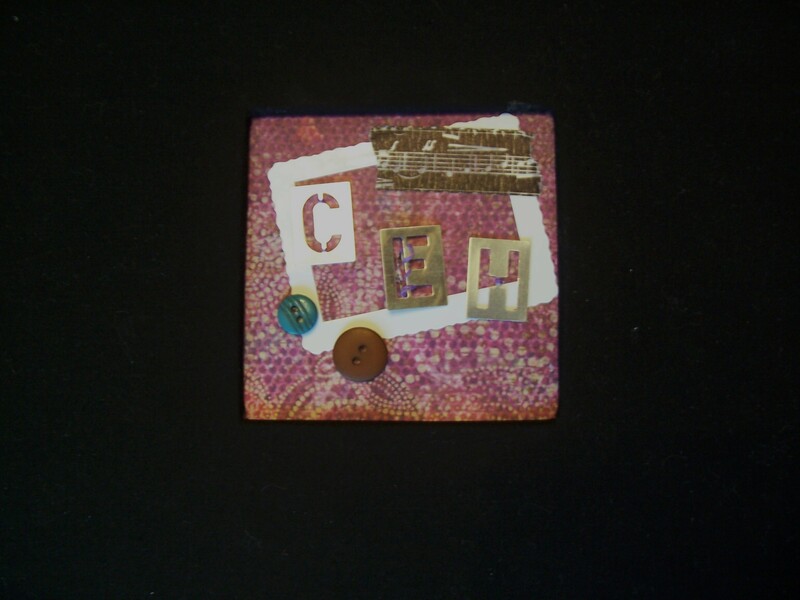 The album had a picture window in the front cover, but instead of a picture, I did this, using her initials, CEH. The black “stitching” is actually my black Sakura .30mm pen. I used stamp ink markers to fill in the lines on the paper and make the flower. The flower in the top left corner is actually 4 layers. I cut a flower out of the paper collection I was using, distressed the edges, then the whole thing. I took a chipboard flower next and sanded off the glitter spots (didn’t work with my color scheme, & I liked the distressed look). I added a small paper flower and then a tiny die-cut for the center. I hope you enjoyed the show and I will post more pages from this album later. If you like what you see, drop me a comment! And thanks for stopping by! Happy scrapping! going to upload the layout I made for my son’s speech therapist. As usual, it didn’t turn out quite the way I intended, but I really like it! Hope she does too! In the meantime, I’m going to share some more glorious Memory Works stuff! First off, the August Express Kit, Camp Out, is now on sale for anyone who wants to get their hands on it 🙂 Keep in mind, they’ll go fast! Just $29.95 (plus S&H) and it can be yours! 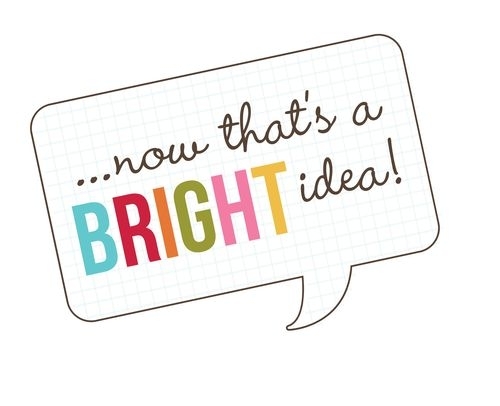 And even if you’re not a camper, there’s still loads of projects you can use it for. Yippee! Let me know via email is you’d like to purchase. Now on sale! 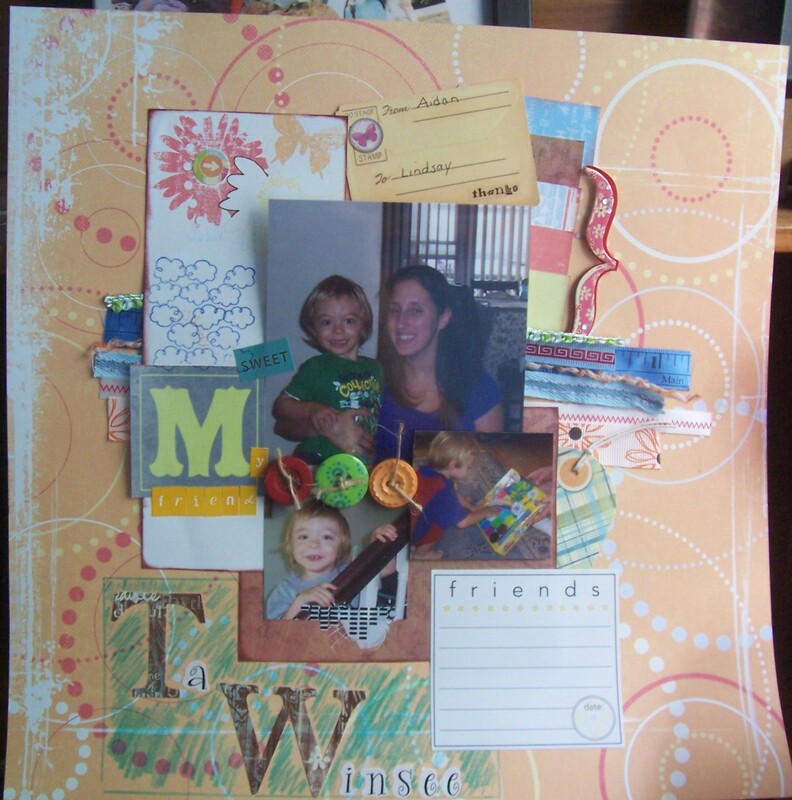 August Express Kit…Camp Out – lots of great elements! 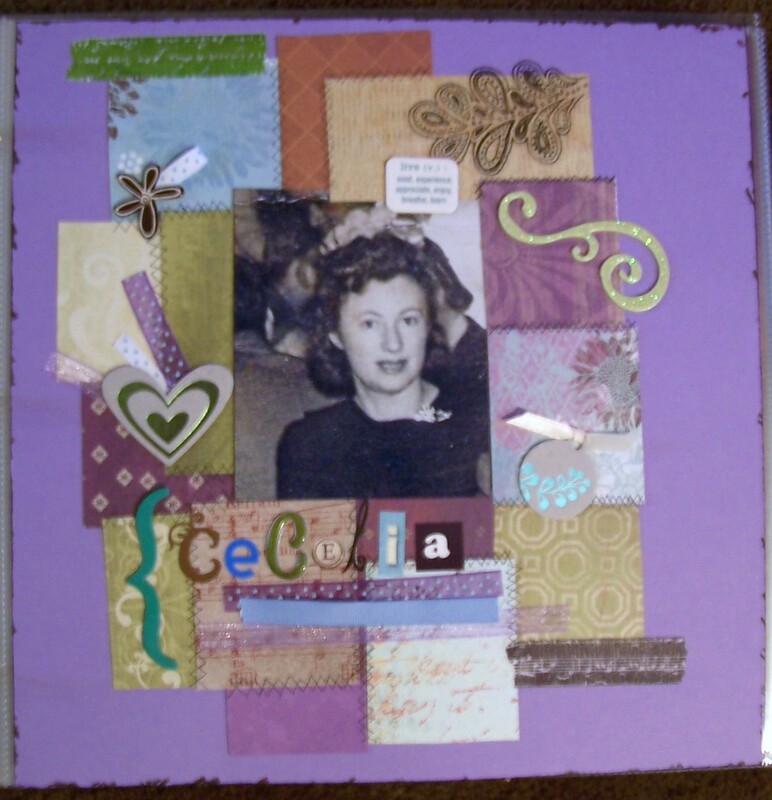 Next we have a sneak peek for September’s Express Kit entitled Study Hall. I’m really liking what I see here, especially since my little guy starts preschool this September. *sniff* I just know I’m gonna cry… So if this little taste inspires you to purchase, as above, it’s $29.95 (plus S&H). Send me an email and I’ll make sure you get it! 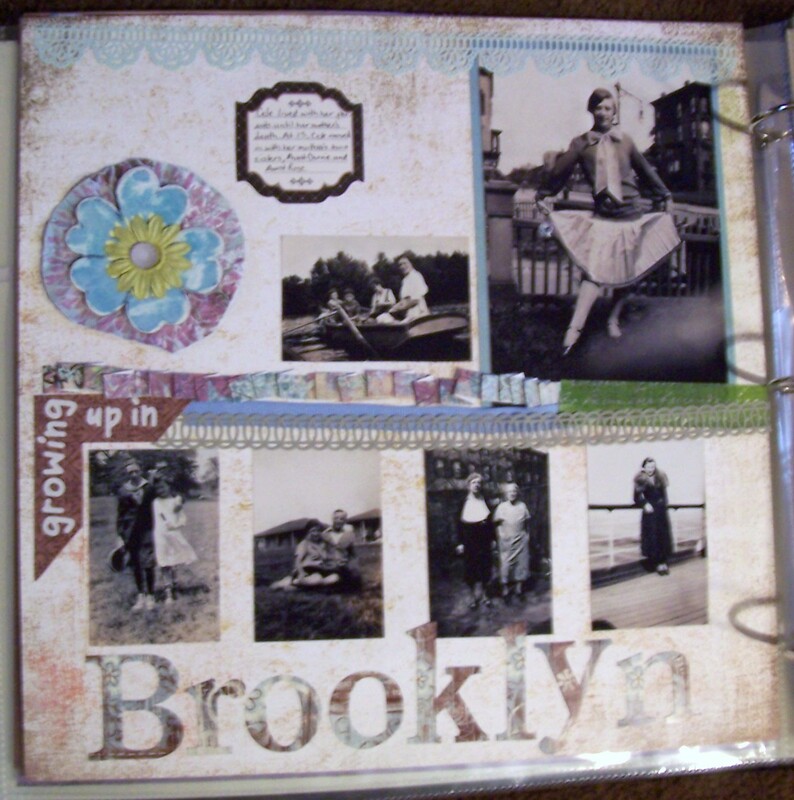 September Express Kit- Study Hall – can you tell I’m excited! And one more thing before I let you go…Simple Stories has added three, yes, three! 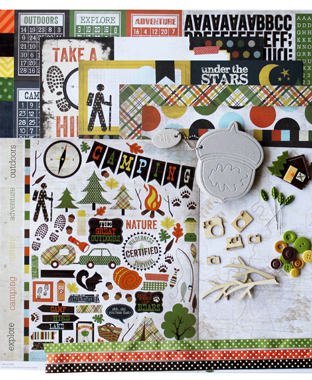 new collections for all of your upcoming scrapbooking needs (or stuff from last year, we all have ’em 😉 Introducing Harvest Lane, Take a Hike, and Handmade Holiday! So if anything at all interests you, send me over an email and we’ll get you your goodies! My email is tjcarrig@yahoo.com. 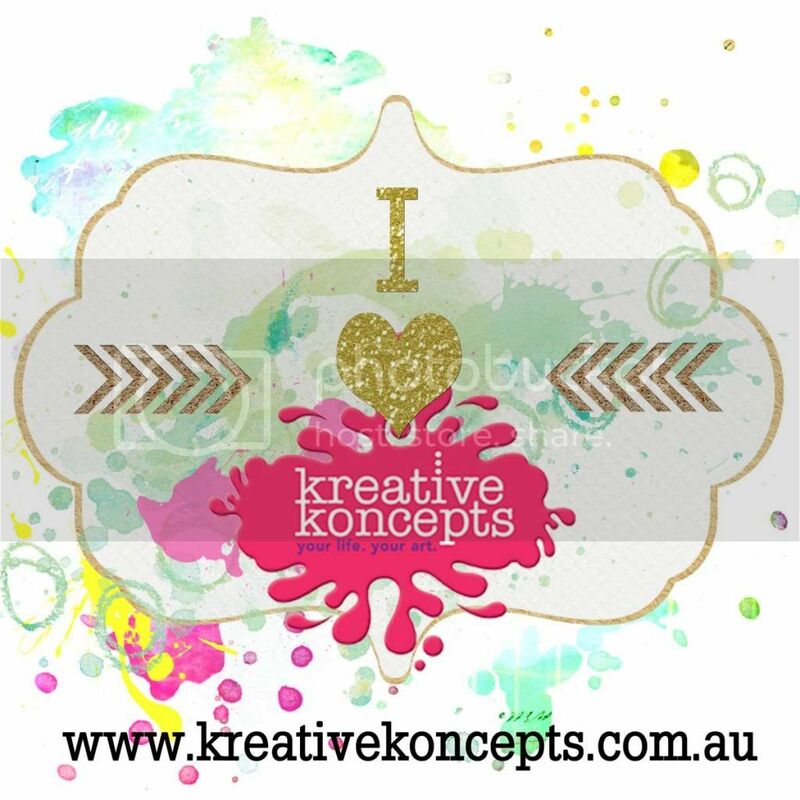 You can also find it ony me Contact Me Here page. very busy with ideas and projects rolling around in her head. So I’ve got a few projects in the works, whch I promise to post as soon as they are done! 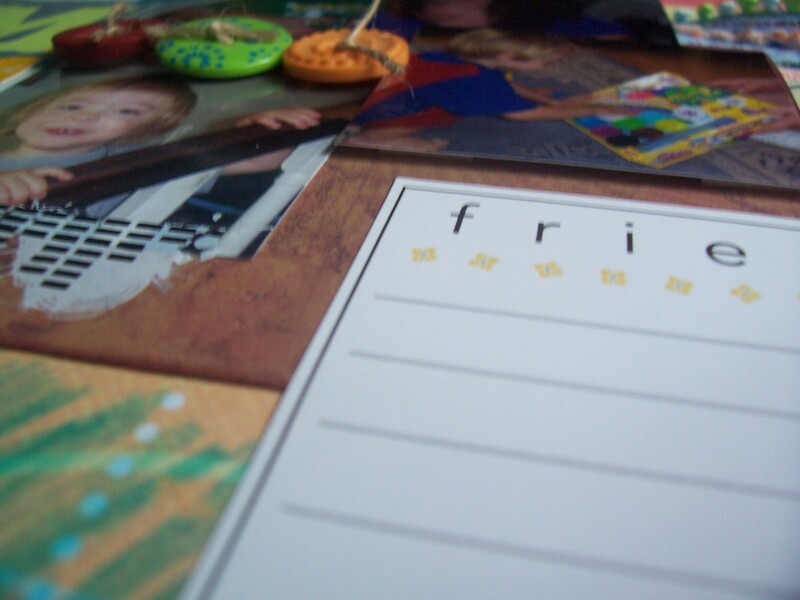 One is a gift my son’s speech therapist, and there’s a few personal projects that are in various stages. On the Memory Works side of things, we’re in catalog transition time! Well, what the heck does that mean, you may be asking. There are two full color catalogs a year. During transition time, all the awesome companies we know and love are coming out with new lines for Fall, so all the Spring/Summer stuff starts going on Clearance (as in right now! ), so once it’s gone, it’s gone! 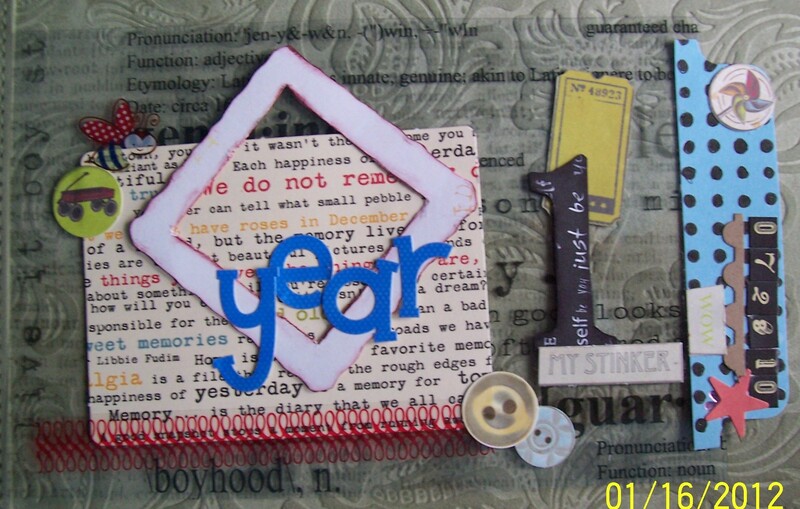 It’s the post-holiday/season sale that we scrapbookers love! So while there’s tons of clearance stuff, there’s also new Fall stuff coming out. 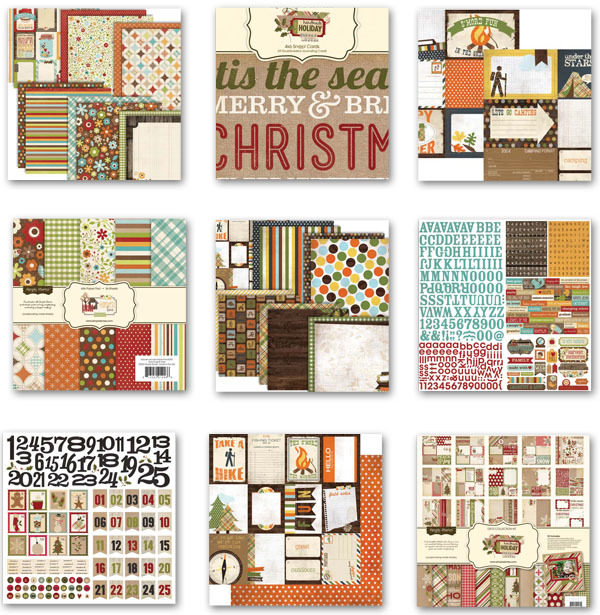 Designer tape, a Thanksgiving line that a little “outside the box” (in a GOOD way), and birthday collections for all those autumn and winter birthdays. Full of warm autumn colors and may I say that Serenade is just beautiful! does it again with four terrific themes that can do so much! Everyone has their favorite lines. I think these will become some of mine! 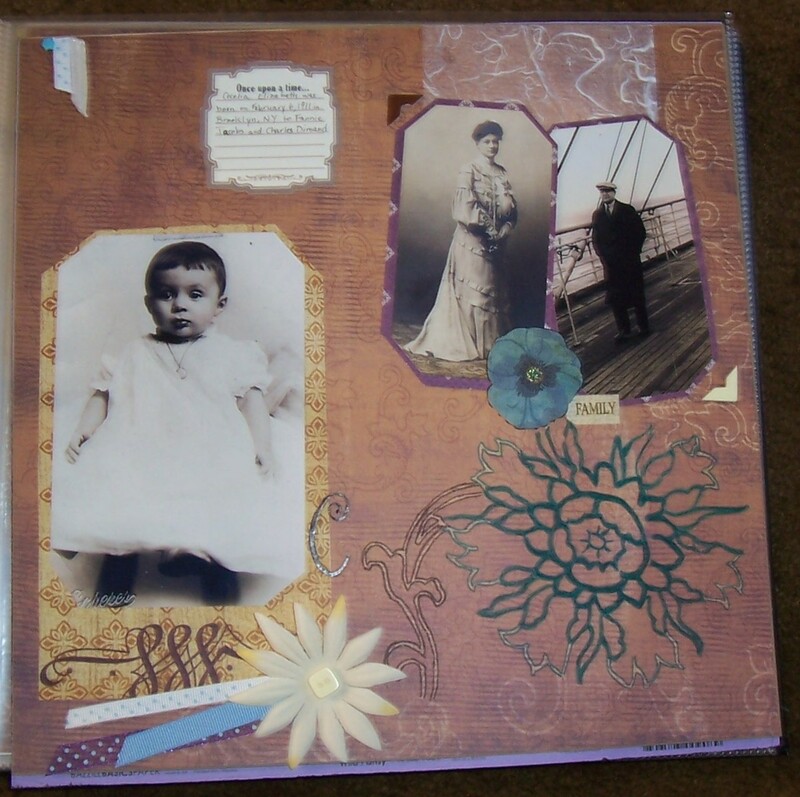 Plus the August edition of Memory Works Express Kit is out! That’s all for now! Please comment or email me!